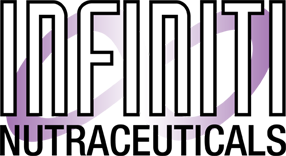 Infiniti Nutraceuticals was founded in 1997. We have been a leader in the Nutraceutical Industry for over 20 years supplying nutritional raw materials. Over the years we have built a substantial customer base and have great working relations with our clients and vendors. Our knowledgeable and professional staff is constantly up to date in order to keep our clients informed of the latest trends and clinical studies relating to raw materials, new products, new technologies and innovative ideas in the Nutraceutical Industry. Our mission is to provide the highest standard in the industry, complete customer satisfaction with prompt and accurate response to all inquiries, great customer service, reliable deliveries and extremely competitive rates. Longevity Breakthrough of the Century! Significantly reduces pain and inflammation! I have been dealing with Infiniti Marketing for the last 8 years and have established a great relationship with their team. I have experienced nothing but Excellent Customer Service and have been provided with Good Quality Material. I foresee A long lasting business relationship well into the future. –Joshua Hernandez - Orcas International, Inc.
Our company has been doing business with Infiniti for more than 15 years, both buying from and selling to the company. We have had nothing but wonderful experiences and look forward to cooperation with Infiniti for another 15 years, at least. – Paul S. Schueller - Paul S. Schueller International Inc.